Steady climb in real estate prices second highest levels since 2008. More good news for the Santa Clarita real estate market: Housing prices have continued to rise to pre-recession levels. 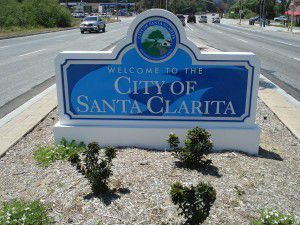 Santa Clarita housing prices on the rise Resale homes jumped nearly 24 percent over November 2012, selling for an average of $445,000 in November of this year, according to the Southland Regional Association of Realtors. Condominiums jumped to an average of $295,000, which is a gain of nearly 50 percent over the average selling price of $197,000 only a year ago. These market increases are significant for home owners, especially those who purchased earlier this year, as they have already seen a return on their investment. Home sellers have been able to take advantage of a tight inventory market in 2013, which helped to boost prices based on supply and demand. Investors are keeping an eye on the marketplace as the Federal Reserve announced on December 18th that they will reduce Quantitative Easing by $10 billion per month. A simple definition of Quantitative Easing (QE) refers to the purchase of Mortgage-Backed Securities by the Federal Reserve that has helped to boost investor confidence in the real estate market, thus helping to maintain low mortgage interest rates. The stock market reacted positively with closing gains in the 3rd week of December, and interest rates have so far remained steady. With nothing “rocking the boat” from a national financial perspective, coupled with steady gains in national economics, we should see a continuation of positive real estate gains into 2014. One issue concerning some investors in the Santa Clarita Valley is the lack of available homes for sale, which currently stands at an approximate two month supply. A continually healthy real estate market typically has about a six month supply of homes for sale. This depends on your reason for selling. Are you considering a move up? Or perhaps you’re consolidating finances, either for other investment purposes, or to consider your long term options. As we stated above, housing inventory for sale, especially in Santa Clarita, is currently in short supply. Many of our sellers are enjoying “the driver’s seat” when it comes to negotiating from a position of strength, and in the past year we’ve seen several sellers receive multiple offers from buyers. We would love to discuss your needs with you, and give you a real solution and plan to help you achieve your real estate goals.